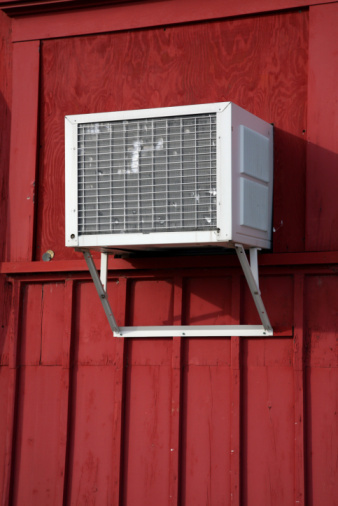 Install a window unit air conditioner on the shadiest side of your house. This will help reduce energy costs by keeping the unit itself cool and out of the sun. Follow the instructions provided for your specific air conditioning unit. Check the installation for gaps, leaks and cracks between the unit and the window. Seal up any gaps with insulation tape. Close all windows and outside doors while the AC is running. Pull the blinds and drapes during the daytime to keep out the hot sunlight. Turn the AC down when the house is not occupied and while you are asleep. Maintain the unit by cleaning the coils and keeping the refrigerant properly charged.